20% reduction in development time of standard web applications, measured through its evaluation in a user group. 30% reduction of required skills evaluated through an index which is calculated by the combination of number of different libraries and their complexity needed to implement a set of tasks. Integration of at least three frameworks in the metaframework. Development of plug-ins for most popular IDEs (netbeans, eclipse) for assisting in the development process. This objective will research on how web application development can be speeded up thanks to the reuse of existing services and components, as well as the defined methodologies. This objective is spread during the whole project duration. Mashup web services. The usage of mashup web services such as Google Maps or Yahoo Pipes has proven a successful engineering method for speeding up development. 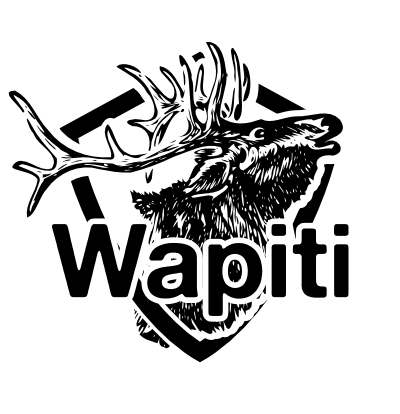 A key objective of this project is to research on how these mashup web services descriptions can be successfully used in the application domain model description, favouring the web service dynamic discovery and composition. The Romulus metaframework will be able to provide, consume and compose REST services in the development and provide a certain number of pre-packaged services (maps …). Data-level mashups. The integration of data from heterogeneous sources is a very time consuming task that will be researched in the project taking advantage of Semantic Technologies. A set of methodologies, best practices and guidelines will be defined in order to help the framework user during complex data mashups processes, while a semantic approach will be used to be able to publish internal data and import external data from the open web using RDF as interchange format, with no programming skills. Portal mashup services. Although portal server technologies such as portlets offer an environment for the access and personalisation of applications by the user, they are requesting a considerable overload in the development of their components. A key objective of this project is to research on how the definition of portal mashup services can reduce considerably the development time and can increase its reliability. The framework will provide portal services consumed by portal components and scripting languages. Enterprise mashup services. A key objective of this project is to research on how the definition of an enterprise mashup service can combine information from enterprise search engines, Web services, messaging systems, BI engines and data integration solutions with information from external services. The enterprise services description will be available to be used in the application domain description, in order to be easily and efficiently integrated in the developed application. A set of well identified enterprise services will be available for integration. In the software development, soft goals such as security or scalability are not usually taken into account from the very beginning in the development process. Soft goals are usually related to quality (non-functional) requirements and do not have a clear-cut criterion for their satisfaction, nor can be allocated to a small subset of elements in the architecture. Romulus will research on security, traceability, reliability and performance soft goals, and their integration in the development process, based on the identification of soft goals-aspects and the usage of annotations against these aspects in the metaframework. Soft-goals annotations based on aspects, used both in the modelling and the implementation phases contribute to automatic code and tests generation. Identification and support for a meaningful number of soft-goals related annotations (3 per soft-goal). Reduction in the effort used for tests generation. It is expected to reach 50% of reduction in effort in tests generation. In addition, independently developed projects which are however functionally dependant (e.g. required libraries) does not have any form of traceability at development level (i.e. no propagation of issues across the projects). 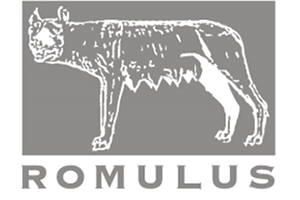 ROMULUS will research on the semantic annotation of external libraries and their integration in the bug tracking and control version system, with so-called semantic powered integration development environment. The introduction of security concerns into the standard development life cycle is still a pendingcoursework in current practice. The application of Domain Driven Design Frameworks can facilitate the semantic annotation of security concerns related with the domain semantic. This approach, together with automatic generation of code respecting security concerns and automatic generation of hacking tests, can drastically reduce the risk of introducing security holes by developers who need easiness and rapidity of development. Current trends in web application development are changing the balance between client and server technology. A key research objective of this project is to research on the symbiotic combination of client and server technologies and how this can enable more usable application and faster integration or creation of pure client side technologies. Traditionally all interaction and state storage was managed by the server. The browser’s function was to act as a very thin client. While this is desired for certain types of applications, it makes development much harder for complex applications with high interactivity and larger needs for application state. With the appearance and generalization of richer client side technologies it is now possible to use the browser as a smarter client, potentially reducing development time while improving the desired characteristics of the developed application. In this new scenario it is of key importance to be able to determine what should be developed in the client side and what should be developed in the server side. Also, the existing server side technologies usually require slower development cycles than the client side which is why the importance of server side scripting technologies to reduce the length of those cycles is increasing. A key research objective of this project is to research on the symbiotic combination of client and server technologies and how this can enable more usable applications and faster integration or creation of pure client side technologies. It will also integrate tools for using server side scripting technologies in existing environments, such as portal applications. Provision of 1 data based pure client side component for end users apps development and bias for its generation from the metaframework. Provision of a composition and configuration panel of simple applications, integrated in Liferay Portal Server.